The Elite 20 has a dominating presence in the local real estate market. 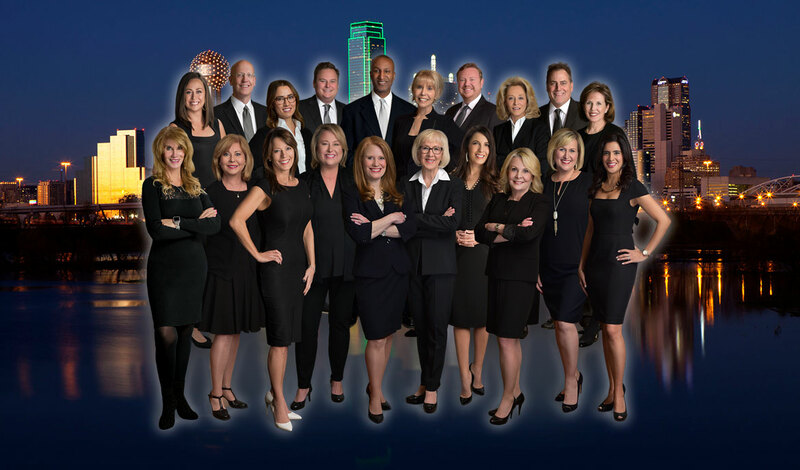 The loyalty of their largely referral based clientele and repeat customers has enabled them to consistently remain among the top producing residential real estate agents in the Dallas Metroplex. The Elite 20’s experience and expertise in all aspects of the real estate industry has earned them a reputation as Realtors you can count on. As Industry Veterans, The Elite 20 will work with you to make sure all real estate possibilities have been explored and all questions have been answered. When you work with any member of this group of skilled professionals toward the sale or purchase of your home, you can count on expert guidance with a personal touch while proudly offering vast experience, in-depth knowledge and focused service. This group, though individual in their business, came together as a resource for one another to benefit their clients with over 500 years of real estate background in sales and marketing. The Elite 20 is known within the community as top professionals. Who are continuously raising the standards within the real estate industry. Our work ethics, high energy and love of the business motivates us greatly to service our clients with an "above and beyond" attitude! This group takes great pride in their ability to perform to their clients expectations. You can depend on the Elite 20 members to provide the right real estate solution for your situation. We proudly offer the ultimate expression in quality service and exceptional knowledge of the industry. Call any one of The Elite 20 Members today to experience the difference that their expertise, determination and professional care can make with your next move!